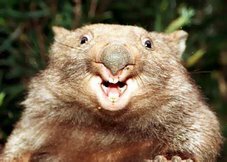 The Red Wombat Hole: Shame, Labor, Shame! We are back to Tampa. An “Indonesian solution” is being prepared to replace the “Pacific solution”, as a Labor government leads both major parties in competitive mining of still deep-seated racism and xenophobia. Shame, Labor Shame. These politician are total hypocrites. They parade as champions of human rights as the guardians of civilised values but when a small boatload of poor and persecuted refugees approach Australian waters that posture thrown out of the window. These people are fleeing war and devastation that Western governments and corporations have supported or even caused. And they are driven, by the hundreds of millions, across many borders. In a single day more refugees cross into the territory of some of the world's poorest countries than all those desperate people who have ever hazarded a small boat journey into Australia. Imagine the outrage of these “civilised” Australian politicians if the nations bordering the world's war zones were to turn refugees away at gunpoint. But that's what the Australian navy is being forced to do by a Labor government. So much hope, by so many people, was placed in the Rudd Labor government that it would turn its back on the ugly politics of the Howard era. Any moral credit earned by the much-celebrated apology to the Stolen Generation of Aborigines has well and truly been canceled with Rudd's recent “no apology”. Green Left Weekly voices the outrage of those who really stand for justice and truth. This voice sorely needs to be as loud and clear as possible at times like this. Green Left Weekly is building the movements that will one day allow us to break the two parties of the right monopoly in this country. But we can only do this with your help, including your financial help. $8678 came in to the Green Left Weekly Fighting fund since the last issue, bringing the total raised so far this year to $187,490 which is 75% of our $250,000 target for this year. We need to raise just over $60,000 over the remaining months to get there. If you can help us get there please do.